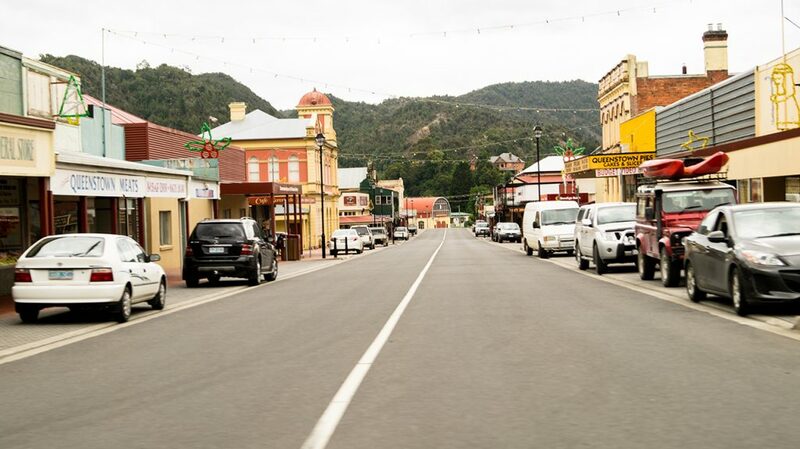 Lying on the slopes of the West Coast Range, Queenstown is a small settlement of just under 2,000 inhabitants. It lies along the “circuit” which many travellers use to navigate Tasmania. Queenstown lies (at least it did for us) between Cradle Mountain and Lake St Clair, and was the first real glimpse of civilisation we’d had for a while. 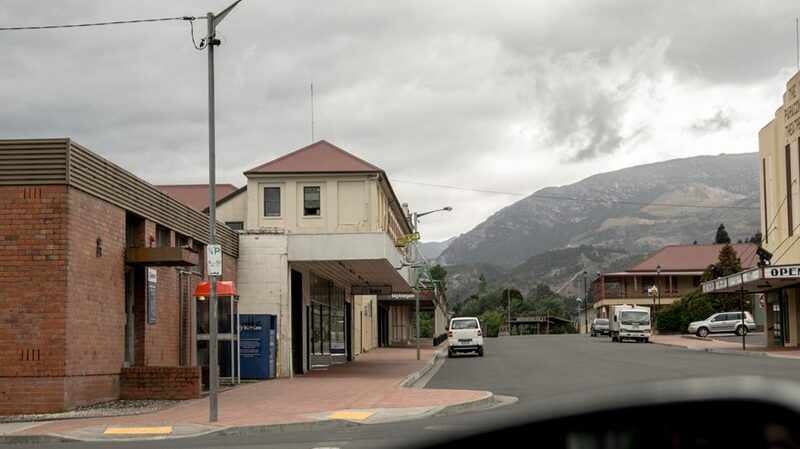 As you can probably guess from the photo above, Queenstown is a mining town, and has had ties to the mining and construction industries since the 1800s. These days there are still plenty of things around for tourists to see; museums in particular, but there’s also some interesting tours such as the Heritage Mine Tour which takes you underground into the copper mines.On our tight schedule we sadly didn’t get chance to experience that for ourselves, but we did decide to take a look around Queenstown. During the time we were there the place must have had a siesta or something going on, it was absolutely deserted! I’ve never been to such a quiet, peaceful, industrial town before, so it was a bit of a shock to the system. The first (or second) thing you’ll notice is the lack of people. They must be there somewhere, they’ve parked. And they’d put up the Christmas decorations. 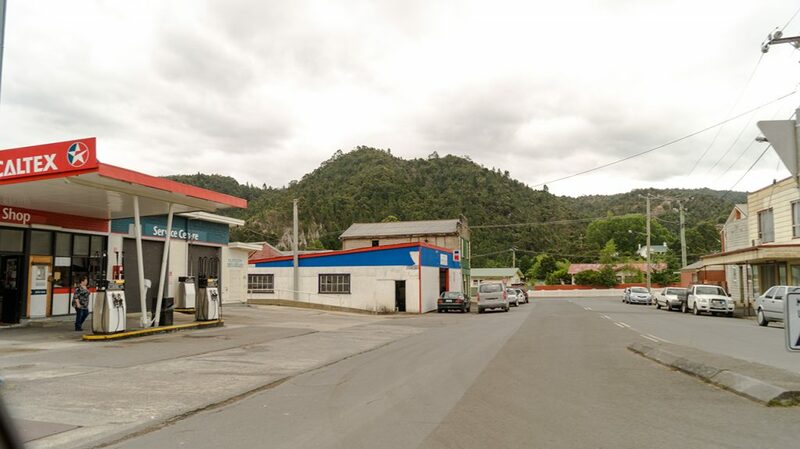 That aside, because Queenstown lies in a valley you can see the mountains from all sides of the settlement.It’s quite an old-fashioned looking place, most of the buildings seem to be a magnolia kind of colour (or beige, if you will) with stereotypical shanty-style signage. It actually reminded me a lot of how the surrounding areas in Cairns look. Again, despite the bad weather, you can see the mountains from pretty much anywhere. It gives the place a small, homely feel to it. Kind of like when you’re off camping with a few friends and make the campsite your own.Despite the small size, Queenstown still has its own fire service. I guess that’s pretty standard for pretty much all of Australia, especially the more rural areas. 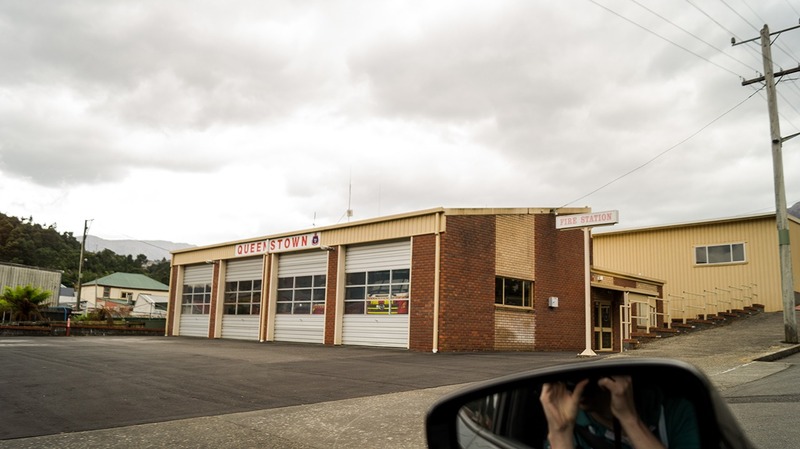 In keeping with the general style of the town though, even the fire station was perfectly matched to it’s surrounding architecture! According to Wikipedia, Queenstown once had a much larger population than it does currently, and that population surely had to live somewhere. Considering it has managed to drop from ~5,000 to ~2,000, you should expect that there are a few abandoned, derelict sites knocking about. They’re still pretty funky though, and that certainly add to the ghost-town vibe that you get passing through in the middle of the day.Luckily, we managed to locate a person while we were passing through; even more lucky when you consider that we were running dangerously low on fuel, and probably wouldn’t have made it to the next petrol station.As a Brit, pretty much all of the petrol stations I’ve ever come across are quite large with a decent sized forecourt, and most of them have a car wash and air available. Spending a fair bit of time in Melbourne, the same is apparent. Get to Tasmania, and you start to come across dozens of two-pump stations. They’re actually kinda quirky though.And they have plenty of snack food to keep me ticking over until the next pit stop.